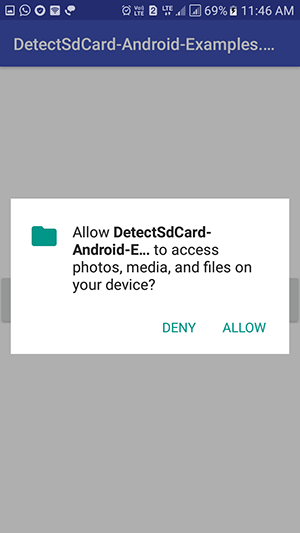 How to know external storage memory card is available or not in android device with Marshmallow permission support. 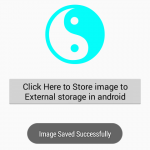 Memory card also known as external storage is very import for android mobile phones because it gives the facility to their users to increase the storage capacity of mobile device. 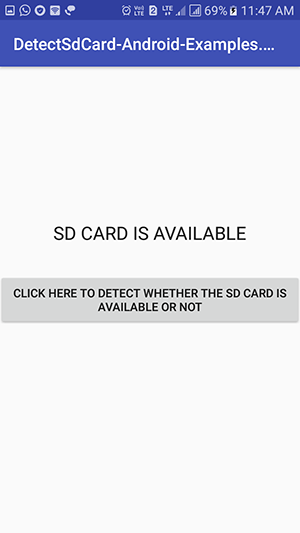 So in this tutorial we are going to Detect Check SD Card is present or not in android. 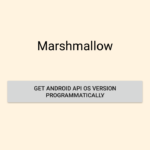 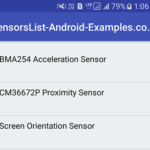 The access of external storage memory need WRITE_EXTERNAL_STORAGE permission so for our users we will also implementing Marshmallow run time permission request method hence this tutorial will work on any android platform. 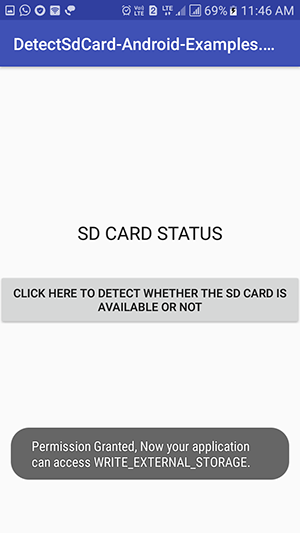 How to Detect Check SD Card is present or not in android with Runtime permission. 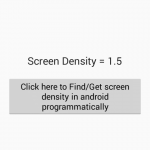 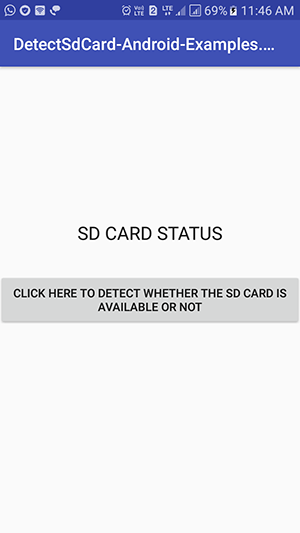 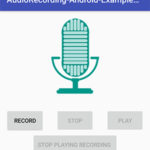 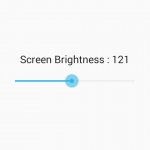 android:text="click here to detect whether the sd card is available or not"
Click here to download Detect Check SD Card is present or not in android with Runtime permission project with source code.